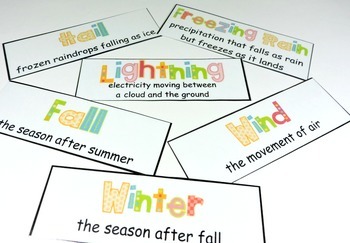 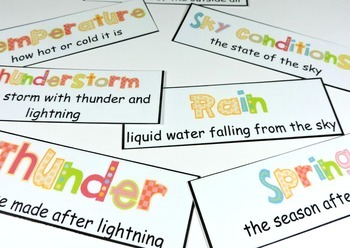 These weather vocabulary cards make it easy to create a content word wall or a vocabulary center. 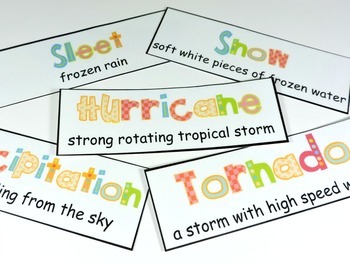 They will support your weather unit. 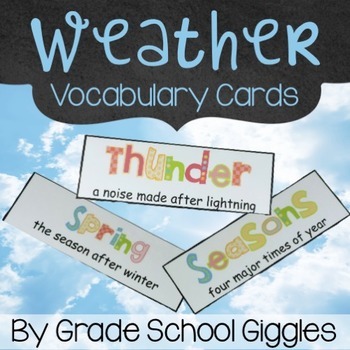 It includes vocabulary cards for….